Chairman David Cardoza says Northampton Town fans have "nothing to be concerned about" despite still not knowing the identity of their potential new owners. Cardoza is in talks with a London-based Indian consortium over a takeover. "The potential buyers are serious and don't want to be identified until they know they're buying the club," he said. "There's no mystery about it, once they've done all their due diligence then they'll put their name to it. Nothing mysterious in the slightest." He added to BBC Radio Northampton: "They're London-based, have been for a long time and the fans have nothing to be concerned about." News of the takeover was first announced in June and Cardoza was hopeful for the club to have changed hands within a month. However, Cardoza now believes he was too optimistic in his prediction, with due diligence still needed. "Everyone was expecting it to happen faster than it has," he said. "Maybe we were ambitious in thinking how long it was going to take but it's certainly nearer the end than the beginning. We're still looking at probably a month." 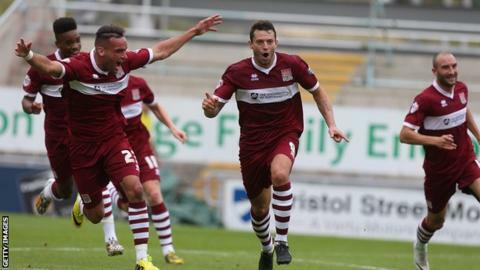 The consortium are looking to buy both the football club and land around the Sixfields ground. In 2013, Northampton Borough Council agreed to loan the club up to £12m to allow them to redevelop the stadium, including the addition of a housing scheme and local retail development. But Cardoza says the council will not have any influence on the outcome of the sale. "They are the freeholder of the stadium, there's the loans and they are freeholder on the land so they have absolutely have a big part to play in it which is why everyone's working together to make it happen. "They can't stop it, but they have to be involved in that situation."